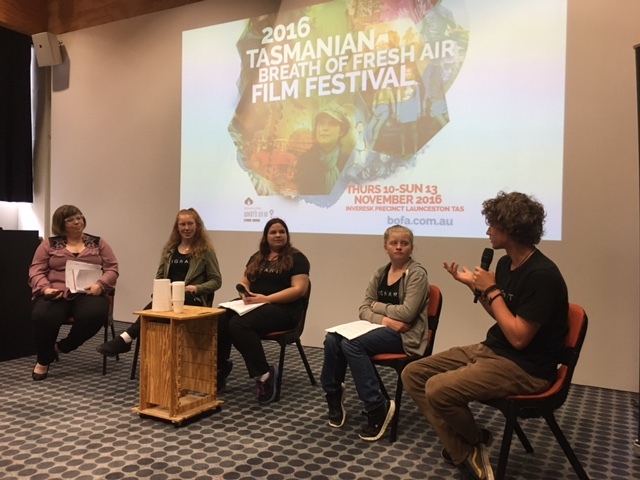 Honoured to be asked to host and be a part of several panels for the 2016 Breath of Fresh Air Film Festival in Launceston. Along with our trusty troubadour mentor Mel Tait (ABC Radio Tas), we explored a number of themes around education for young women from a cross cultural perspective, and we got to hold the stage to talk about the value of being a part of Project O and now the 20+20 Program. 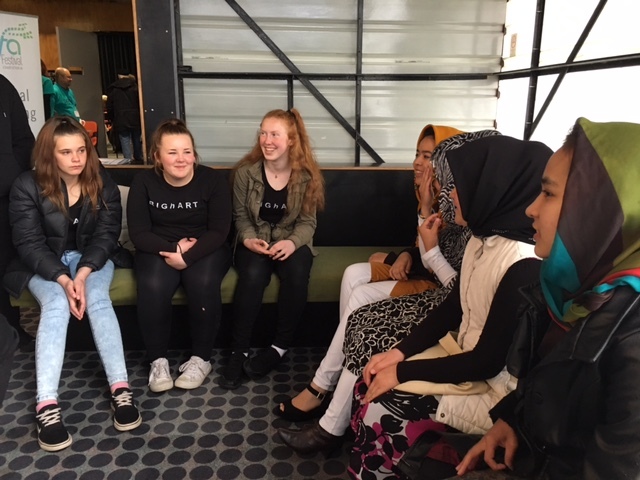 The best bit was meeting some other young women that same age as us who have come to live in Launceston after being refugees from Syria. They participate in the Women’s Friendship Group based in Launie, and we’re hoping to be able to work together on a project in the near future. Thanks to everyone who came and to the BOFA crew for the opp!